What is your tooth pain telling you? Tooth Pain can be a PAIN, but there is a reason why our bodies try to notify us that something is wrong. 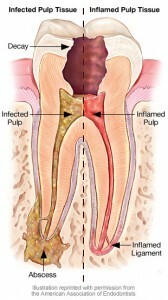 Tooth pain can be an indication of infection, irritation, injury, or decay. It can be lingering, persistent, sharp, dull, off and on, but just altogether awful! When you experience tooth pain, it is best to get a professional opinion to ensure that you address dental issues immediately. Waiting for tooth pain to go away on its own will undoubtedly lead to a more complex, and sometimes more costly, treatment later. To explain tooth pain, you should first know more about how a tooth is structured. 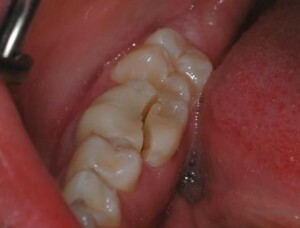 The tooth is composed of layers. The outermost layer, the enamel, is the hardest layer and the first defense in protecting the inner pulp or root from decay and infection. A variety of factors including poor oral hygiene habits, lack of regular dental exams, diet, genetics, etc., all play a role in slowly eroding the protective enamel later. 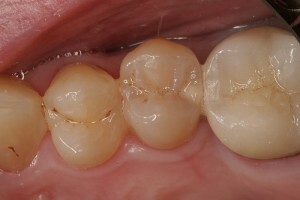 As the enamel erodes, the softer, more sensitive layers inside the tooth become exposed. Some patients experience pain with little to no enamel erosion and others don’t feel anything until the decay or infection has reached all the way down to the pulp or root. This is why regular dental visits are so important. Your dentist can inform you about decay or infection before it reaches the point of severe pain, or worse, more invasive, costly dental procedures that are required to try to save your tooth. The worst outcome, of course, is loss of the tooth completely. 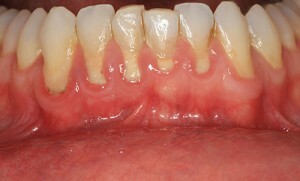 Tooth pain treatment depends on the severity and cause of the pain. Many patients try home remedies first, but soon find out that they require professional help. Treatments range from bite adjustments, fluoride, scaling and root planing, laser bacterial reduction, fillings, root canals, dental crowns, TMJ therapy, and medication. Whether your tooth pain just started or has been occurring for some time, we are here for you! You can always schedule on our website at www.mycostamesadentist.com. If you have any questions or need more information, you can call or text us 24/7 at 714-424-9099, shoot us an email at info@mycostamesadentist.com, or live chat with us at www.mycostamesadentist.com!